A growing number of retirement savers are becoming aware that they can choose investments other than the traditional offerings of stocks, bonds, mutual funds, ETFs, and CDs within an Individual Retirement Account (IRA). Self-Directed IRAs (SD-IRA) offering non-traditional investments have increased in popularity in recent years and are more accessible for investors than in 1974 when the IRA was first introduced. These Self-Directed IRAs allow you to invest in real estate, precious metals, notes, tax lien certificates, private placements, and many more investment options. A Self-Directed IRA is a traditional or Roth IRA in which the custodian permits a wide range of investments that are allowable in retirement accounts. 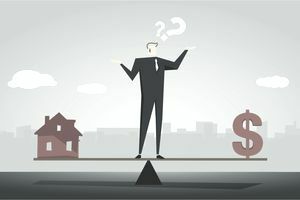 One of these alternative options, real estate investments, is appealing to many people who consider using a Self-Directed IRA to purchase rental properties. However, just because something is allowed by the IRS does not always mean it is the best choice for a portion of your retirement savings. Here are some important things to be aware of when it comes to using an IRA to purchase real estate. The term “self-directed” means that alternative investments are accepted or offered by the IRA custodian. An IRA custodian is the financial institution responsible for record keeping and IRS reporting requirements. The “self” directed aspect kicks in each year since you must accurately value your investment annually and report the value to your IRA custodian. The first steps when using an IRA is to set up a Self-Directed IRA. Several reputable companies provide individual investors with the ability to set up self-directed retirement accounts. Due to the complex nature of Self-Directed IRAs, it is helpful to have a custodian that will help provide some much-needed guidance as you travel through the murky and confusing waters of the IRS tax code. Some IRA custodians have more complicated fee structures than others. Therefore, it is important to do your homework and examine all of the potential fees and expenses that will impact the overall return on your investment. In many cases, it is advisable also to establish a limited liability company (LLC) or other entity to hold the investment assets. With Self-Directed IRAs, you must generate sufficient cash flow that will cover all maintenance and repair costs without the need for you to add cash each year. Perhaps the biggest benefit of using a Self-Directed IRA to purchase real estate is found in the potential tax benefits. As is the case with any investment in your IRA, you benefit from tax-deferred income until the day you take withdrawals, or if your investment holdings are in a Roth IRA, your investment gains get to accumulate tax-free and you can withdraw it tax-free. You still must wait until you reach age 59½ to withdraw your funds without being subject to an early withdraw penalty and having that included as ordinary income on your tax return. But active investors may buy, sell, or flip properties and move funds from one project to another and still maintain the tax-deferral status of the IRA. Another benefit of owning real estate in an IRA is the familiarity. Investor interest is often sparked by global market uncertainty, and this can lead investors to stick with more local investments. Self-Directed IRAs provide you with an ability to invest in investments that you know and understand. What Are the Biggest Downside Risks? As an account holder in a Self-Directed IRA, you are responsible for doing the required due diligence on the property itself. It may be an appealing feature of real estate investing in IRAs if you are a real estate professional or experienced investor. However, it could lead to a bad investment decision or the potential of being a victim of fraud if you are not a savvy real estate investor. The Securities and Exchange Commission has released an investor alert addressing Self-Directed IRAs and the risk of fraud. One of the biggest risks of owning real estate in a Self-Directed IRA is the potential lack of diversification. While not impossible for super savers who have accumulated substantial amounts of wealth in an IRA, many investors lack the ability to create a diversified real estate investment portfolio. Only focusing on the upside potential is a major risk to consider before purchasing an investment property. Liquidity is another big concern when investing in real estate within an IRA. There is always a possibility that you may not be able to access the value of your investment to make distributions when you may need the money the most during your retirement years. Are There Any Potential Tax Pitfalls? Owning real estate in an IRA allows your investment to grow on a tax-deferred basis (Roth IRAs provide the potential for tax-free growth). However, if you don’t follow the rules and purchase property the wrong way within an IRA, you could disqualify the IRA and create a taxable event. IRA ownership of investment property also loses some of the tax breaks available to real estate investors if the property operates at a loss. You also cannot claim depreciation on IRA-owned real estate. If you are thinking that an IRA could be used to purchase a vacation home or a primary or secondary residence—think again! Self-Directed IRA investment transactions involving real estate must all be arm's length transactions. It means that no self-dealing or personal transactions are allowable with Self-Directed IRAs. This rule also applies to immediate family members. So, don’t think you can buy or sell a property to or from a family member or yourself unless you want to create a taxable event. Unrelated business income tax (UBIT) is another potential tax issue. It will be important to pay attention to if you are thinking about the use of a mortgage to purchase an investment property. With a traditional IRA, you must take required minimum distributions once you reach age 70½. If you own real estate in an IRA, it is very difficult to sell off your real estate holdings in small chunks each year. That is the reason you must have enough cash in your IRA accounts to cover your required distributions to avoid tax problems. Investing in real estate with a self-directed IRA isn't for everyone. If you decide to go this route, be sure you learn the rules of buying real estate with IRA money.